Eric Dop stretches up to catch the puck 10/20/17 against Minnesota State. Dop is starting to climb up the national rankings (Photo by Jessi Renner/BGSUHockey.com). The 20th-ranked Huskies struck first with a power play re-direction goal at 6:04 of the first period by Thomas Beretta. The Falcons picked up a pair of power play goals thanks to John Schilling at 12:46 of the first period and 17:49 of the second period. Those two goals were enough to push the Falcons past the Huskies for a 2-1 win. Eric Dop continued his strong freshman season with a 21 save performance Friday. Dop locked down after an early goal where he had little chance to make a save. Dop now finds himself at 6th in the nation with a .936 save percentage and 10th in the nation with a 1.75 goals against average. The Falcons aggressiveness continued Friday as they were whistled for eight penalties, all minors. 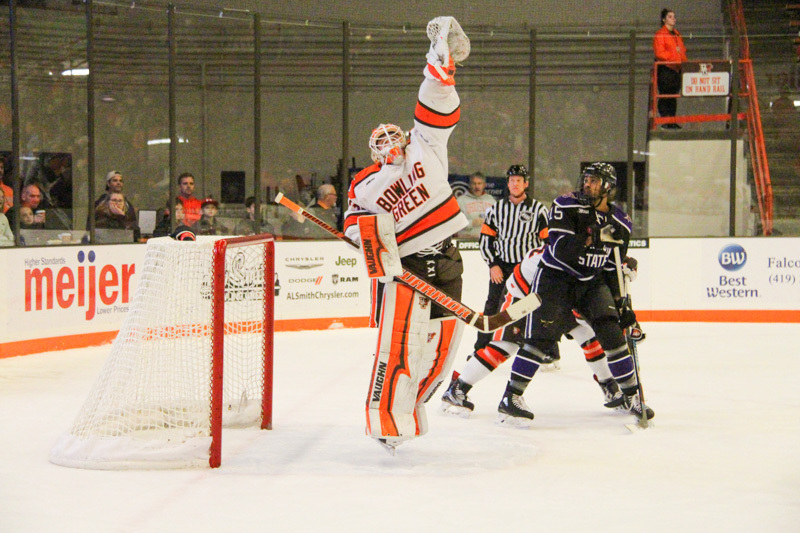 Bowling Green had eight penalty kill chances and ended 5-of-6 with the man-disadvantage, allowing 10 shots. Bowling Green is the sixth most penalized team in the nation with 15.9 PIMs per game. Bowling Green was 2-of-4 on the power play with 10 shots. That moves their season mark on the power play to 8-of-39 (21%). The 5-of-6 night on the penalty kill moved them to 39-of-46 (85%) this season. In nonconference action Ferris State upended Michigan 3-2 in overtime and Alabama-Huntsville fell to Arizona State 3-2. In conference games Lake Superior took a 3-2 overtime win over Alaska-Anchorage, #9 Minnesota State shutout Northern Michigan 3-0 in Marquette, and Alaska scored an overtime winner to take a 4-3 decision over Bemidji State. The Falcons and Huskies will wrap-up their weekend series Saturday at 7:07 in Houghton, Michigan. 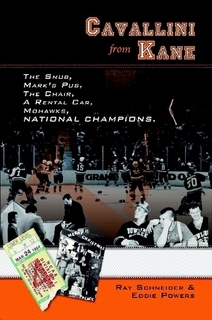 The teams will meet again February 2nd and 3rd, and could meet January 2nd in the Great Lakes Invitational.